Free Moving Cost Estimate - get yours today! List any additional information that might improve the accuracy of our estimate. Call Guindon Moving & Storage and go over a list over the phone with our company during our business hours. Schedule an in-home estimate with a professional estimator. Call/Email us to schedule an estimate with an expert in the industry. Guindon Moving has offices conveniently located in the central Upper Peninsula of Michigan. Our company has offered high quality moving services to Northern Michigan and Wisconsin for over eight decades. 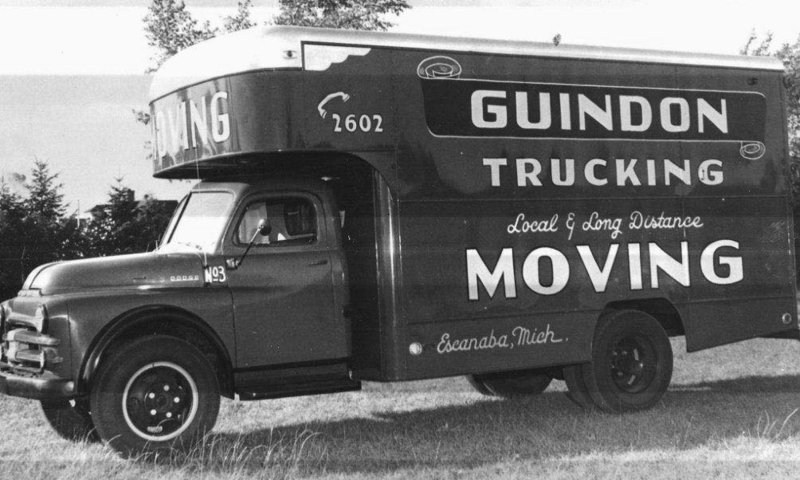 Guindon Moving has had the privilige of moving 4 entire hospitals, schools, libraries, and hundreds of other businesses and organizations. We work cooperatively with representatives from the company or organization to plan, schedule and carry out a move. Guindon Moving understands the complexities of international and long-distance moving, and we can help you understand and manage this process. Our company is proud to assist with everything from moving a large military family overseas, to a small move across the state!